When I started day trading as a beginner about 20 years ago I did not have a trading computer. I never asked myself, "What is the best trading computer?" and "How to build a Day Trading Computer?". I didn’t see any reason to buy a computer solely for the purpose of day trading. I was studying at the time, my budget was tight, and I was usually trading from one of the PCs at the university, which was a typical personal computer with a monitor. However, years later, I completely changed my approach. In the following article I will share with you why I changed my mind and what I think about trading computers today. As a bonus, I will show you 6 cool trading computers and provide a detailed comparison, including costs, facts and suggestions. You will see how easy it is to save up to 50% buying a trading computer just by making the right choice when selecting the hardware and software without having to give up quality and performance. 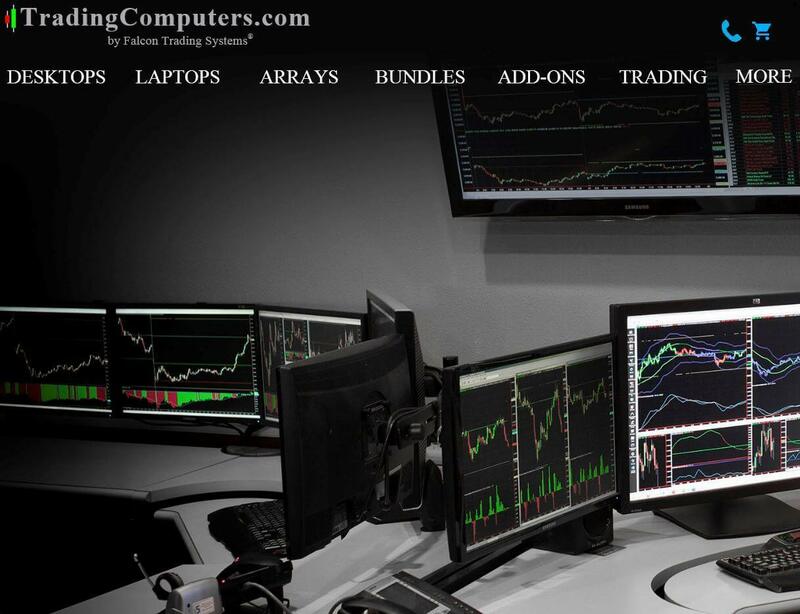 What is important when configuring your trading desktop? ​PC evolution is happening so fast that you could buy a new one every 3 years for the same price and easily double the power of your old one. But the residual value of your 3-year-old trading computer will be around 30% of the original price. Your aim when day trading is to make a lot of money within a short period of time, but this does not mean you have to throw your money out the window based on that expectation. Cost efficiency is the key to long term gains in your portfolio. Losing 70% value from a trading PC should alert your internal warning system. Whether you are completely new to the trading business or you are a very experienced investor, you should carefully consider what type of trading PC to buy. Just looking at the advantages you could come to the conclusion that a trading computer is one of the most important parts in your day trading setup at home. But be careful, do not overlook the disadvantages. It won’t be the first time you spend money on trading education, participating in a trading course or on-site trading workshop, and you find an email or flyer at the end of the trading course with great marketing promises. Most of them spread the same spirit, giving you the feeling that you need the best trading computer in order to achieve the best trading results. As I told you in the beginning, 20 years ago I was using university PCs for my day trading and investing. But the reason for it was completely different from what you might think. There was no LAN and no WLAN within the student dorm. It would have been impossible to day trade from my small apartment. Today, that’s completely different and no longer a real impediment. When I started my first regular job, I immediately bought my first trading computer. Guys, I made money nearly every day! And believe it or not, the trading computer itself enabled me to make that amount of money. I had a fast PC, which was able to open my brokerage trading software, my stock screener, and Internet Explorer all at the same time without any performance problems. I had an amazing, high resolution monitor with an unbelievable 19" screen. At the time, this computer was the best bang for my buck. It was definitely the right decision at the right time to buy a trading PC. Again, one PC with one monitor. Nothing fancy, but the best decision I ever made at the time. Over the years, I spent money on CPU upgrades and utilized faster internet connections. Then, about 10 years ago, there was a major shift. When I started coding my first NinjaTrader trading systems and developing my Trade Ideas stock screeners, I felt that one monitor just wasn’t enough for me to be efficient. So, I decided to buy four 24" monitors, which where mounted to four monitor brackets fixed into the wall with individual adjustable jib-arms. I simply connected my graphic card, via HDMI, and everything ran like a charm. In my craziest times as a day trader, I had more than 60 charts open at the same time to visualize my automated trading results and manage my orders (this was really crazy and I do not recommend doing this on your own). A few years later, things changed again. I was becoming more rational in day trading the stock market and my focus grew from manually executed buy and sell orders to fully automated trading using Trade Ideas ​within my Brokerage Account. One API connection, automated buy and sell orders, and the main focus on trading strategy development and trade management. For that reason, I reduced the number of monitors but changed to really big ones with 4k resolution plus a trading notebook, my iPad and mobile device. And that’s where I am today. As you can see, I changed my trading computer environment according to my trading style and available budget. I am convinced that the right informational technology infrastructure, like trading desktops, trading laptops and monitor arrays can boost the performance for any day trader and investor. But it has to fit your individual needs and budget. Whenever I bought a trading computer, one thing was always certain. I had to choose every main component myself, customize, and assemble it on my own. I never bought a pre-configured trading desktop. Never! The first PC was a bit tricky but over time I gained some excellent skills tweaking my computers and never depended on a third party. 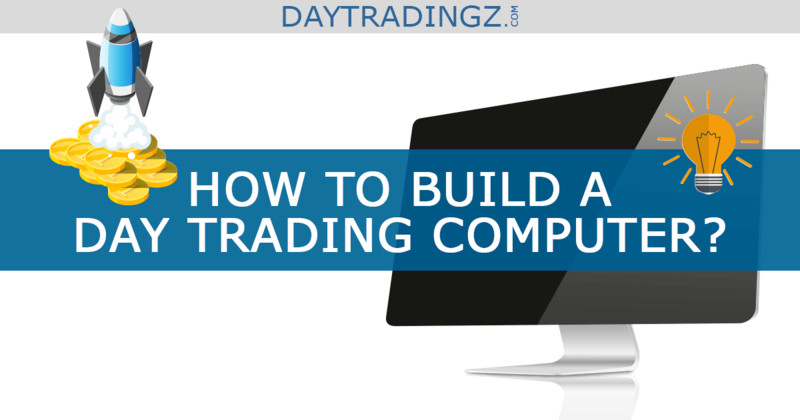 In the next section, I will show you why it is still the best choice to assemble a trading desktop on your own. Furthermore, I will show you the best solution in case you don’t have time to build your own high performance / low cost trading desktop setup. There is no doubt, as an institution you need high-end trading computers. The question remains, if there is a need for it, and for retail traders as well. ​Your budget is low and it is completely understandable that you want to spend as little money as possible for your trading computer setup. While tradingcomputers.com is the most visible vendor in Google search results when looking for a trading desktop, their offer is the worst. At first glance, the offer seems to be the best because it is the cheapest. So what is the problem? The problem is that there is absolutely no detailed information about the parts that are integrated within the trading computer. It is a black box. A black box when buying a computer is the same as day trading a black box trading strategy. It’s worthless. You should definitely stay away from this offer. 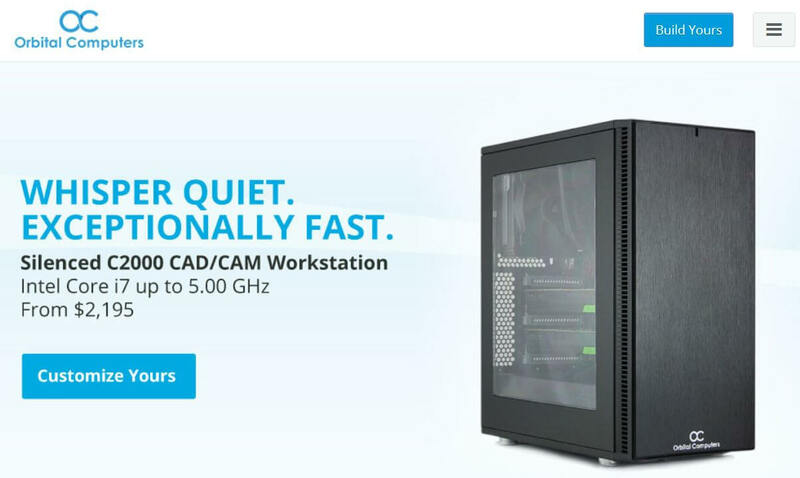 They have a nice looking website and attractive marketing pictures, but this is useless when the computer components are low quality. Maybe the components are from premium manufacturers, maybe not. Who knows? The original configuration from the Trader X1000 by orbitalcomputers.com is okay. I just had to add some silent components and the 4-monitor option. In total, it was $1,788. Not every brand name and product type are specifically mentioned, but they are more detailed compared to the configuration of tradingcomputers.com. Blueauracomputers.com is comparable to orbitalcomputers.com. The pre-configured version of the Trader 8000 Elite trading workstation is okay, I just had to make some little upgrades for the silent components. Blueauracomputers.com is very transparent in terms of mentioning the exact computer components. This is a white box. You see what you are buying. In their buyer guide they explain what brands they use for their components and why. A big plus! Comparing the 3 vendors, blueauracomputers.com is the winner because of their transparency. Closely followed by orbitalcomputers.com. While tradingcomputers.com has the lowest price, it is completely unreliable. It is just not possible to see what components you will receive from them when buying a computer out of the box. Using pcpartpicker.com you can configure your individually compiled trading desktop with a few mouse clicks, saving a lot of money. For the first trading computer, I picked only high quality components to accomplish my goal, designing a great trading desktop. A great case from Fractal Design, an ASUS motherboard, G.Skill RAM, a power supply by SeaSonic (silent Platinum), silent components, Cursial 250GB SSD Hard Drive and a Nvidia GeForce GTX 1060 video card supporting up to 4 monitors for a total of $1,486. As we also had some pre-configured PCs with low quality components from the companies mentioned above, I created two configurations with lower quality components. With some hardware, along with less power and less expensive brands, we saved another $300 totaling a price of $1,144 for the whole system. This version has decent high quality, and market average quality computer components, and would easily do the job for day trading and swing trading. If you don’t have a computer yet and if it is more likely that you will invest only in swing trading, then a low cost computer might be a good fit as well. I created a trading computer configuration via pcpartpicker.com that cost only $580. As you can see, there are many options when it comes to configuring a trading computer. 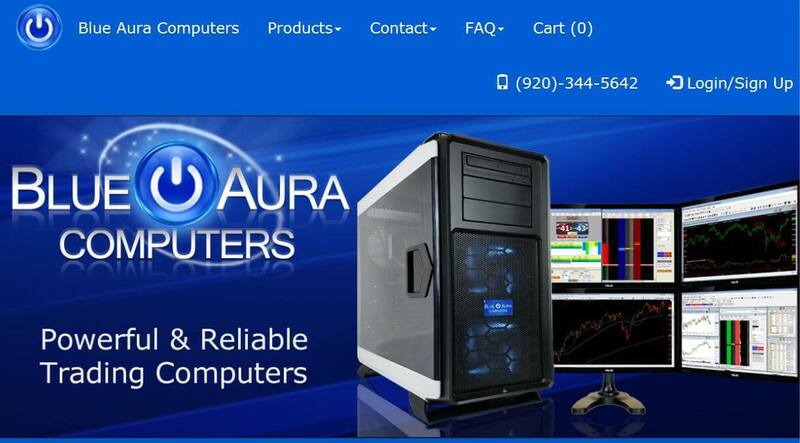 Tradingcomputers.com, orbitalcomputers.com and blueauracomputers.com can do the job for you but you will not be that flexible. If you configure it yourself, you are completely flexible. You could choose only high end components with maximum power and it would be still cheaper. Pro-Tip: Saving even more money is also possible. Pcpartpicker.com sells with retail stores like amazon.com, newegg.com, OutletPC.com, etc. Ultimate-Pro-Tip: I am certain that one of your friends loves IT. So why not create an enticing party with some refreshing drinks, delicious food, and revel in the pre-selection of PC parts? The next day you can drive to the city, buy all the parts from a low cost vendor, and in the evening you and your friend can celebrate together by building your brand new trading computer. Everyone is happy, you learned something new, and you will be well prepared for the future. Whether you prefer to customize your trading desktop on your own, with a friend, or if you plan to purchase one of the pre-configured PCs from one of the vendors we mentioned, it is completely up to you. In any case, you have to know what is important and what is not that important. A good video card will not only give you the opportunity to connect more than one monitor, depending on your needs, it will also give you the opportunity to use your trading computer as a gaming computer, if so desired. It is important to decide what you want to do with the computer. Think about it first. If you want to use it for gaming, PNY is not a good video card, nVidia would be better. A silent case with silent fans and a silent power supply is the best thing you could do for yourself. It is incredibly annoying having a loud computer system next to you when you are day trading for 8 hours a day! SSD is state of the art. It is senseless to buy an old school hard drive as the primary drive. You might consider using it for storage belongings if you want to save files with a few terra- bytes. But for a fast trading computer you definitely need a solid state disk (SSD). Your computer will boot within seconds and even if the hard drives crash, chances are high that your data is still there. With an old school hard drive, the booting sequence takes much longer and the data protection is worse compared to using SSD. Brand names are important. And not just because of the name. It is about compatibility, upgrade functionalities, and the personal freedom of having a solid computer for your trading and investment activities. One system outage can cost you a few thousand dollars, but you will never get into such a situation. Trust me! You will never let that happen! Even if it feels right to invest $1,800 in a trading computer to enable you to make as much money in the financial markets as possible, if your budget and trading capital is too low, you cannot invest that money. Let us assume you have a free liquid trading capital of $10,000 or lower. Why in the world should you invest ~18% to a trading computer? In long term investing it would take more than 2 years (based on average market gain statistics) to make this money back. As I first mentioned, after 3 years the PC is nearly worthless. So please, do not consider investing in a trading computer when your budget is too low. For conservative investment strategies, a trading laptop might be a better alternative. If you made it to this paragraph, then you realized that there is something missing. A few cheap things and one major cost element. In any case, you need a keyboard, mouse, some cables and an optical drive. It doesn’t cost the world and you should go with things you prefer. A trading keyboard might become handy for you once you start day trading with shortcuts and key strokes. But for a day trading beginner the standard is good enough. And then comes the major cost element. The trading monitors. Those can become very expensive. Having a trading desktop where you can connect 2, 4 or even 6 to 8 monitors is great​. One big trading monitor is the minimum and having multiple trading monitors is phantastic. In the beginning, it is recommended to start with 2 monitors. With the right video card selection it will be easier to upgrade to even more monitors without the need to change the hardware components within your trading computers. There is no special requirement for a trading monitor. It should be a good value for the price you pay. For multiple monitor solutions choose at least 24” to 32”. There is no need for a 4k monitor because the fonts will become so small that you will have to adjust the font size on your monitor in order to see the content on your trading computers monitor. Plan at least $500 for your trading monitor setup and a little extra money in case you need a monitor mount for fixing it on a wall. Do not make things too complicated here. Once you have made money in the stock market you can upgrade the monitors, attach them to a wall and organize them by creating your own professional wall of monitors. But do things step by step. Finally, it is up to you. My personal preference is customizing and assembling trading computers on my own. There are tons of great YouTube videos explaining how to assemble your own trading desktop or normal computer. A big benefit of doing it on your own is that you save money and you are well prepared for new upgrades and optimizations. But if that does not feel right for you, then it might be better to pay $400 more for assembling. The guarantee of the whole computer might put your mind at ease opposed to the risk of assembling it on your own. In case you decide to buy one computer out of the box, it might be a good idea to drive to the city or a specialized computer store close to your home. Otherwise, if you make an online purchase, you will have to pay for the shipping and possibly have to return the trading computer a few hundred miles away in case there is a problem with it. In any case, no matter where you buy the pre-configured computer, always make sure to ask for the exact specifications of the components and research them on your own using Google search. And keep in mind, a high-end trading computer is important for day trading strategies like the gap and go strategy, but for swing trading strategies a mid-size computer is absolutely fine. If you are going to spend $2,000 overall, then it is a must to look behind the curtains before buying. Buying a black box trading desktop puts you in the same situation as trading a black box trading system. How about pre-configured, out-of-the-box computers from Dell, Amazon or BestBuy? Well, it is the same. Take a look at the components. In most cases, you will not find a good deal at Dell, Amazon or BestBuy that is worth the money. Typically, they sell old hardware and give the computer a great sounding name hoping consumers will buy in a weak moment. And here comes the most important part: If you already have a desktop with a monitor then check the system requirements of the trading platform and trading software you are using. Chances are that your current computer has enough power! Sometimes it is enough to upgrade the video card enabling the option to attach multiple monitors. It is incredibly important to put yourself in a comfortable position right from the beginning. If you feel the need to make money as soon as you start day trading or investing then you create extra pressure on yourself. As I write in nearly all of my posts, “cost efficiency is key.” Take things step by step and don’t give in to alluring marketing slogans. If you have any questions, please use the comment functionality below to share your thoughts and discuss the details about the best trading computer setups. What is the best desktop PC for day trading? ​​The best computer for day trading is the computer that suits your needs. If you already have a computer, just add a new video card, attach at least 2 monitors to the computer and go from there. Once you have made money trading the financial markets, consider an upgrade. Do I need a separate computer for investing? ​No, for investing you definitely do not need any additional computers. Use your laptop, tablet or existing trading desktop. Do not overcomplicate things. The more you invest in your trading computer, the better you have to perform when trading the markets. What is the best trading computer? ​If you read the entire article, then you know there is no general answer to this question. It depends on your needs. I hope this guide helps you gain a better understanding of how you can evaluate what is important and how you can configure a trading desktop on your own. PC or Mac – Which is the best for trading? In my opinion a PC is best for trading. The reason is compatibility. With Mac you might run into trouble with some trading tools. Sure, you can run windows on your Mac hardware, but that would make things a bit complicated. So, if you don’t have a PC or Mac at the moment, then a PC is #1. If you already have a Mac, then give it a try. But you will probably run into issues if you plan on using four monitors at the same time on your trading Mac computer.